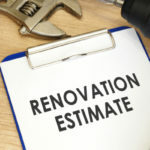 Kitchen Cabinets and Granite Countertops, Pompano Beach FL > Blog > Blog > How Long Do Granite Countertops Last? Granite countertops last longer than most other materials, offering a durable and beautiful material to use throughout your kitchen. Granite can last for 100+ years; after all it is a natural substance found deep in the earth that is already millions of years old. Granite is a very hard substance, which means it is not as susceptible to scratching as other common countertop surfaces. It is also pretty resistant to heat, hence why it works great in the kitchen where heat is an unavoidable element. Durability and longevity aren’t the only reasons people go with granite. There are dozens of granite countertop shades to chose from, meaning there is always something to match your style. If you live a busy life and cleaning isn’t always a top priority, we feel you, and we also highly recommend granite countertops. They can stand up to the challenges and still look great without constant TLC. That doesn’t mean you can completely ignore your granite countertops all together and expect no issues to arise. 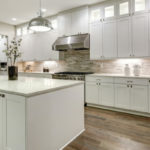 The better care you take of your granite countertops the longer they are going to last and the better they are going to look throughout this time. For instance, if you do not have the proper sealants on your countertops or if your good sealant wears off the granite will become weaker and begin to absorb stains. Granite is a porous material that will absorb wine, oil, juice and other substances if it is not properly sealed. This could lead to a stain that is impossible—or nearly impossible—to remove. If your countertops have a low quality or poorly applied sealant they are also likely to harbor bacteria in the pores. The million-dollar question is: how often do you need to have your granite sealed? In some cases granite can go as long as 10-years without being resealed. On the other hand, some countertops require annual sealing. If you forget about sealing granite all together you will know you are overdue when you start to notice stains showing up in the surface. Clean your granite regularly with warm water and a soft rag. You should also invest in a disinfectant cleaner made especially for granite surfaces. Regular cleaning products should not be used on granite, as they tend to be too abrasive and will break down sealants, leaving your countertops exposed to stains and damage. If something heavy falls on granite in just the right way it may cause countertops to crack. If one portion of granite cracks the entire section will need replacing. Even though granite is durable it’s important to always be extra careful. In order to keep surfaces from staining you will need to make sure granite countertops are properly sealed. Granite requires sealing more often than most other surfaces. Always use a cutting board when prepping food on granite countertop surfaces. Although granite is dense and therefore less likely to scratch it is still advised to be cautious. After all, it’s not impossible for granite to scratch or dent. 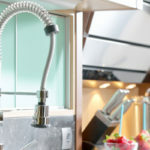 When granite countertops are installed make sure the installation team uses the extra beams and other support systems necessary to hold up granite. Granite is heavier than most other materials and therefore requires extra support. Granite is sometimes avoided simply because it is one of the more costly countertop materials. The reasons for the cost are easy to see, the countertops are made from naturally beautiful materials found in the Earth (just be glad they don’t cost as much as diamonds! ), and they last a very long time. 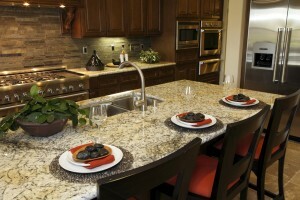 Simply having granite in your kitchen can increase the value of your home. If you want granite but are nervous about the cost we have the perfect solution for you… buy wholesale granite countertops from Tops Kitchen Cabinet. Don’t pay the high retail price when you don’t have to. 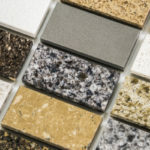 We guarantee the highest quality granite in a wide variety of colors and at prices you can’t beat.